BRANDON, MB – Brandon University’s new University Librarian is a team leader with a long history of contributing to student success, in part by elevating the library user’s experience. Mostly recently, Betty Braaksma served as Usability Liaison Librarian and Virtual Reference Coordinator at the University of Manitoba. She is also coordinator of the Manitoba Shared Virtual Reference project, which seeks to create a province-wide partnership to expand virtual reference services to Manitoba academic and public libraries. Braaksma twice served as President of the Manitoba Library Association. Braaksma has a BA (Hons) from Brock University and Master of Library Science from University of Toronto. Her research interests include the role of libraries in student retention and success, usability and user experience design, and trends in digital literacies. 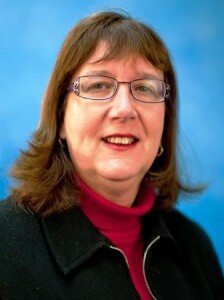 Betty Braaksma begins a five-year appointment at Brandon University (BU) on September 16th. Brandon University, founded in 1899, holds one of the finest collections of Aboriginal literature in the world. The University promotes excellence in teaching, research, creation and scholarship; educating students so that they can make a meaningful difference as engaged citizens and leaders.